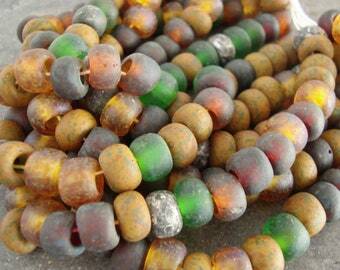 I love the ancient rustic look these beads have. Earthy and tribal. 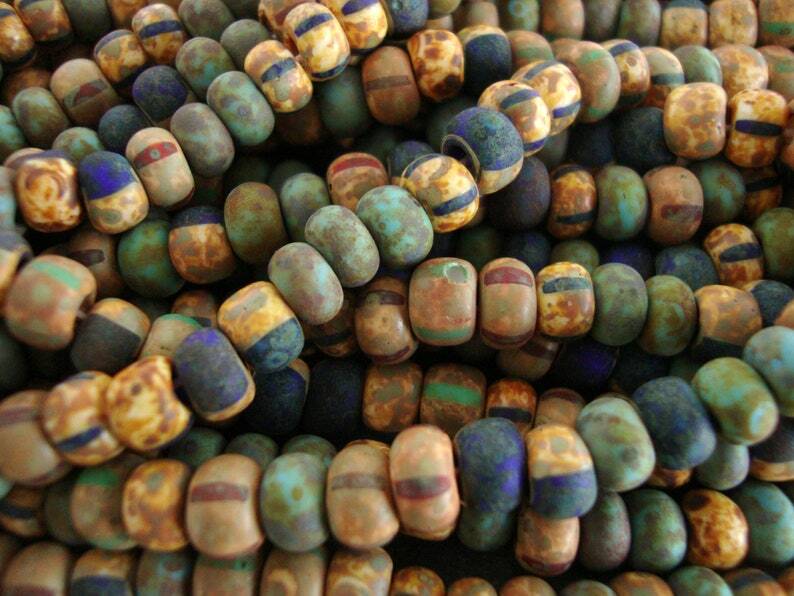 Matted shades of turquoise, blue and greens with stripes and a wonderful Picasso finish.